Picasso’s 'Femme Endormie' is an example of the artist’s classical manner of representation. This rare piece can be associated with other works by Picasso which are found in major public collections such as the Tate, London, and the Metropolitan Museum of Art, New York. 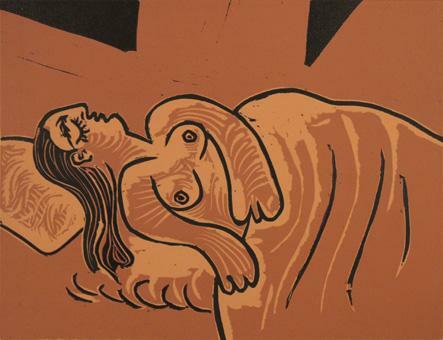 A parallel can be drawn with other depictions of women sleeping, such as Picasso’s 'Jeune Fille Endormie' from 1935, and his 1932 'Femme Endormie à L’ Oreiller Rouge'. Echoes of Jean-Auguste-Dominique Ingres’s 'Odalisque à l’ Esclave', and similar Orientalist neoclassical artworks, are visible in both the pose and the lines which characterise the female figure.